Our contribution points to the strategic split operated by Ian McEwan’s narrative and, comparatively, by Joe Wright’s film Atonement. 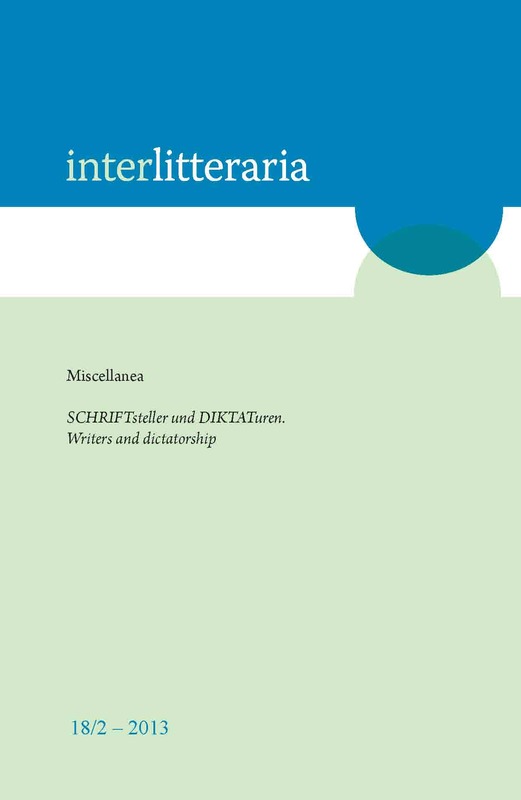 This split allows them to craft two diverging narrative discourses which overtly compete to dominate the interpretation of the fiction and especially its reading transactions. Eventually these narrative maneuvers of both the writer and the director overcome the teleological fate of the narratives and allow them to perform a meta-fictional and self-reflexive role. Bal, M. 1985. Narratology: Introduction to the Theory of Narrative. [C. van Boheemen, transl.] Toronto: University of Toronto Press. Benjamin, W. 1968. The Storyteller. – H. Arendt, ed., Iluminations. New York: Schocken Books. Calinescu, M. 1993. Rereading. New Haven & London: Yale University Press. Chatman, S. 1978. Story and Discourse: Narrative Structure in Fiction and Film. Ithaca: Cornell University Press. Culler, J. 1981. Story and Discourse in the Analysis of Narrative. – J. Culler, The Pursuit of Signs. London: Routledge and Kegan Paul, 169–187. Dallenbach, L. 1977. Le récit spéculaire. Essai sur la mise en abyme. Paris: Seuil. Genette, G. 1973. Figures III. Discours du récit. Paris: Editions du Seuil. Genette, G. 1982. Palimpsestes. La littérature au second degré. Paris: Editions du Seuil. Gipsrud, J. 2002. Understanding Media Culture. London: Arnold. Kermode, F. 1967. The Sense of an Ending: Studies in the Theory of Fiction. London, Oxford and New York: Oxford University Press. McEwan, I. 2007. Atonement. London: Vintage Books. O’Neill, P. 1994. Fictions of Discourse. Reading Narrative. Toronto, Buffalo, London: University of Toronto Press. Martin, W. 1986. Recent Theories of Narrative. Ithaca, N.Y.: Cornell University Press. Ricœur, P. 1985. Time and Narrative, vol. 2. Chicago and London: The University of Chicago Press.